The drastic low temperatures that we experienced weeks ago certainly is the main culprit of the damage done to your electric and utility bills. When we see low temperatures in the single digits and below zero, which is significantly lower than the average low of around 20 degrees this time of year, the spike in usage is unavoidable. This cold weather not only kept our heating systems busy, it also kept our bodies inside. When you spend more time indoors and at home, it will of naturally result in more utility usage. Whether due to poor attic insulation or leaks or drafts in your windows, the effectiveness of your insulation was really put to the test this season. Even if improving the quality of your insulation is not a project you are able to take on in the foreseeable future, it’s important to know that you should credit a part of that spike in utility usage to that amount of heating and cooling lost during extreme weather months. Did you know that your heating and cooling system can account for up to or more than 50% of your overall utility usage? Through the cold-temperature stretch we experienced, your heating system was likely operating more often to maintain the level of comfort you desired. With more system usage, you will certainly see the impact on your utility bills. If your heating system is 15+ years old, it’s likely that there has been significant efficiency loss since it was installed. 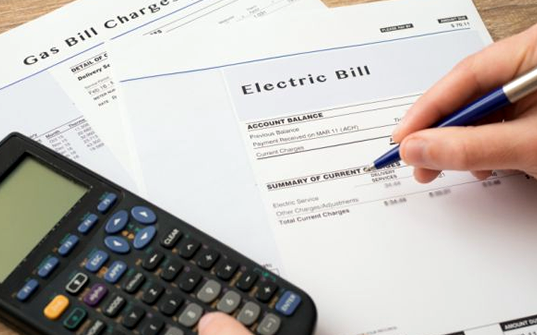 If you see your bills continue to increase year over year, it might be time to schedule for maintenance or consider system replacement altogether. Maximize the efficiency of your heating and cooling system!